In my blog posts, I often discuss a specific workplace safety topic, the relevant behaviors employees exhibit that lead to accidents or injuries, and how we can use one of the factors from the S.A.F.E. model of SafetyDNA to reduce incident rates. However, sometimes safety isn’t so black and white; often multiple factors combine to result in an injury, so it is important that we remember to take a step back and think about safety issues from a broader perspective. When a safety incident occurs, what exactly contributed to its occurrence? Who was involved and what behaviors led to the incident? What interaction of SafetyDNA factors were most salient in a given situation, and conversely, how can they be used to prevent future incidents? Should an injury occur at your organization, many of these questions can be answered when you conduct the subsequent investigation. The final report will include information about the parties involved, the situation leading up to the incident, and how it was handled. But often missing in these reports are the underlying person-based factors that contributed to the incident and what measures should be taken to prevent it from happening again. These matters are left for management and safety leaders to deal with. Further complicating this issue is the fact that when a safety incident takes place, it is common that at-risk behaviors related to multiple SafetyDNA factors contributed to the incident. This got me thinking, when an employee is injured at work, these behaviors might be independently present, collectively building an overall high-risk situation. However, in other cases, does one behavior lead to another in sort of a domino effect? 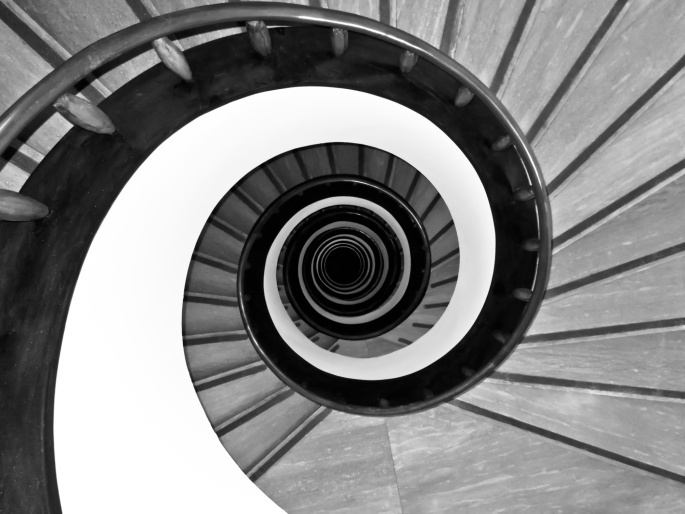 I call the latter the “Safety Spiral,” and I believe these situations can be among the most dangerous for employees. For example, in 2012 a plant worker in Idaho was operating a machine press that fabricated stainless steel sink tubs, when he suddenly got his hand caught in the machine, which mutilated the hand, forcing an amputation. In the subsequent incident report, a statement from a co-worker revealed that the machinist had become frustrated with his press, which was jamming every few minutes, forcing him to shut it down, clear the molding area, and restart it before moving on with his work. This frustration led to the machinist losing control of his emotions, at which point he began unsafely loading metal pieces into the press with no regard for the required operating procedure. The machinist obviously displayed at-risk behaviors, but what strikes me is how this situation developed. We all get frustrated at work sometimes, but it is critical that we maintain control over our emotions. This worker failed to exhibit the Stays in Control factor, which then led to his unsafe operation of the press. This, in turn, led to additional safety blind spots related to both the Exhibits Caution and Follows Rules factors, further compounding the level of risk he put himself in. This sequence of behaviors ultimately resulted in a tragic outcome for the machinist, but hopefully, his story will help others think about how their safety behaviors can spiral out of control if not properly managed. This is just one example of many in which safety blind spots for one SafetyDNA factor can snowball and lead to additional blind spots related to the other factors. While it is important to be aware of, and take steps to avoid one’s personal safety blind spots in general, we must be particularly careful that they do not occur in conjunction with one another, as this exacerbates the already present hazards at work. Conversely, being mindful of one’s safety at work and exhibiting strong safety behaviors can reduce one’s blind spots, consequently eliminating the potential for a Safety Spiral to occur.